Home Entertainment You decide: is this bottle of Jonathan Blow's pee real? You decide: is this bottle of Jonathan Blow's pee real? 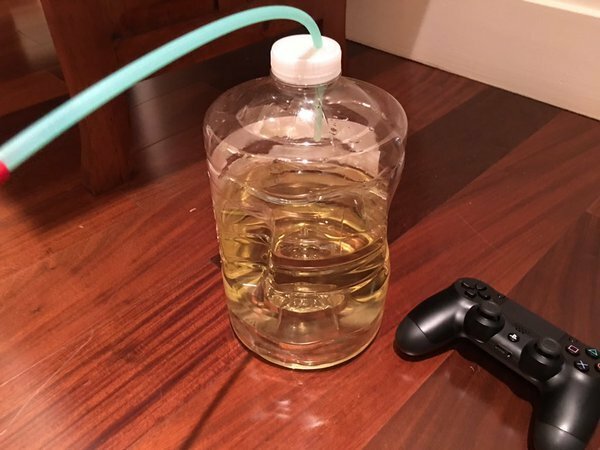 Earlier today, The Witness and Braid creator Jonathan Blow posted an image on Twitter of what appears to be a makeshift catheter and a tub of his own pee. “Here is another thing I helped make, to help finish The Witness,” Blow wrote proudly above the image, which has sent social media into overdrive. Finding a way to urinate without leaving one’s seat is an enduring concern for humanity, but few have nailed an adequate solution. Indeed, creating makeshift catheters is something society is more likely to frown upon than celebrate. It’s more sensible to buy a professionally made one. Still, is this merely a tub of apple juice, or is it a stinging indictment on videogame development crunch time? Is that the right colour for pee? Does the lighting influence its hue? Perhaps Blow’s tube supplier had temporarily run out. Maybe he’s been peeing into a catheter for many years now. 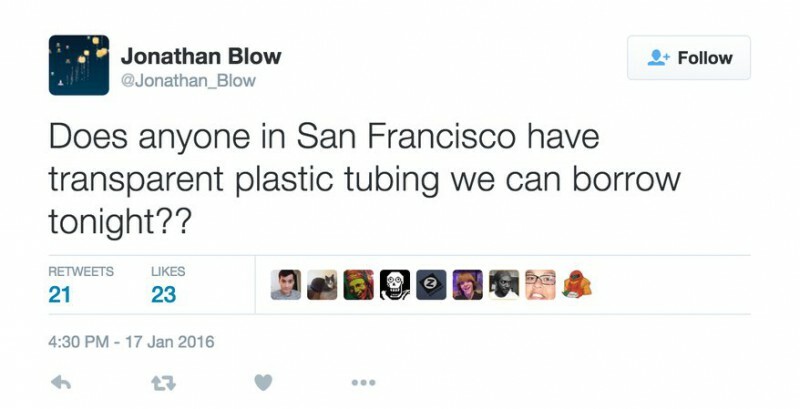 Or maybe, just maybe, he borrowed a tube to make a pee joke on the internet, which he concocted and brewed over a five-day period. What do you think? Is that really Jonathan Blow’s pee? Please advise below.